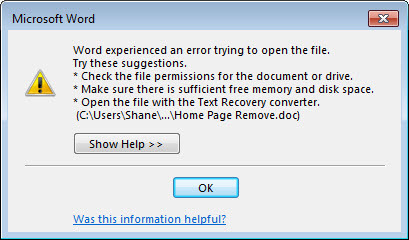 “Word experienced an error trying to open the file”. Now if I SAVE that same file out of outlook (or copy and paste it to a drive), and then open from there – it opens fine. Go back to outlook and your word document should now open fine. I have double checked this and it does work fine for Word 2016 as well.